Between rap lyrics and movie screens, luxury cars seem to be all around us. It’s hard to find someone who hasn’t dreamed of driving away in a luxury car. These cars are the pinnacle of craftsmanship, and they are often worth every single penny. Unfortunately, most people think they are never going to be able to afford one. Luxury cars often feel like they are so far out of our price range that it’s not a realistic dream. If you have a little patience and don’t mind a car with some miles on it, then you aren’t too far from parking a luxury car in your driveway. Luxury cars are already in a league of their own, but the Jaguar brand stands out from the crowd. The company is known for their sleek and powerful cars. Each Jaguar has a bold style and the Jaguar emblem is a symbol of pride for those lucky enough to own one. From convertibles to sports cars, these vehicles were made to be noticed. You’ll be sure to turn plenty of heads when you drive off in one. Jaguar vehicles hold their value for years thanks to their quality construction. 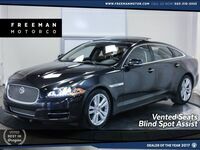 Their innovative thinking means a used Jaguar isn’t that far behind technologically. They are likely to have a lot of the features you would want in your car right now. 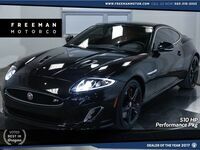 The premium materials aren’t going away, so stepping inside of a Jaguar is still going to feel like it is brand new. 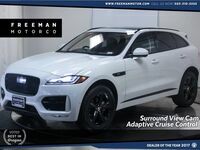 Freeman Motor company has a few used Jaguar vehicles you can test drive to feel what riding in style is like. You can also call ahead with any questions and we’d be happy to help.